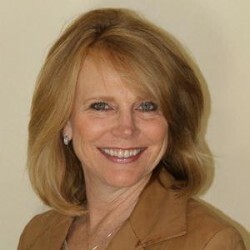 JoAnn Tattersall is Broker and Owner of Active Real Estate, The Tattersall Team. She has been married since 1981 with three children and three precious grandchildren. JoAnn is passionate about people and real estate with the 35 years of experience under her belt. Her goal in real estate is to match the needs of buyers and sellers to be a perfect fit. Her clients appreciate her hands on assistance and call her an expert puzzle solver. She graduated from CSUN with a Bachelor's degree in business. JoAnn specializes in short sales, foreclosures, real estate investments and re-sale home buying and selling in the Conejo Valley, Simi Valley, Camarillo, San Fernando Valley and Southern California. She has worked in finance specializing in hard money loans, bankruptcies, and she understands the loan process. Her GRI Designation include: Short Sale & Foreclosure Resource Certification, Pre-foreclosure Specialist certified, e-PRO certification, SRES Senior Real Estate Specialist Designation, PMC Property Management Certification. She can be reached at 818.370.7688.